MEMBERS of Pilgrims for Peace-Southern Tagalog along with party-list representatives from the Makabayan Bloc headed to Barangay Banalo, Lobo town in Batangas on September 30 to conduct a humanitarian mission amid what they call a “Marawi-style” military operations around Mt. Banoi. Village officials have earlier reported that the series of aerial bombings and intensified military operations since September 24 resulted in the forced evacuations of hundreds of families from communities around Mt. Banoi. At least 400 families were forced to flee their homes while some 15 schools in 12 barangays in Batangas City suspended classes for several days. 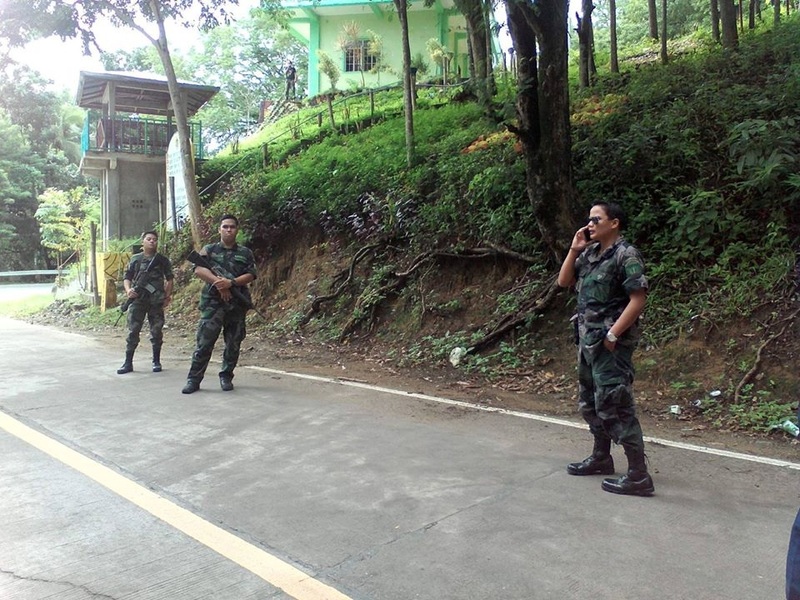 The combined forces of 2nd Infantry Division, 202nd Infantry Brigade and 730th Combat Group of Philippine Air Force are allegedly pursuing fleeing New People’s Army (NPA) forces following an encounter last week. Previous media reports and studies by environmental groups indicated that foreign mining concessions including the MRL Gold and Egerton Gold Phils are interested in operating the Batangas Gold Project and other mines in the vicinity of Lobo and San Juan towns. According to environment group Kalikasan People’s Network for the Environment, the two Canadian companies are affiliated with Australian miner Red Mountain Mining. The entry of foreign large-scale mining companies has been met with strong opposition from residents, local officials and environmental groups who cited the possible severe harm to the environment, said Fr. Edwin Egar of Karapatan-Southern Tagalog. “We fear that, with the new environment secretary who came from the military, it is not far that these mining projects are being worked out without us knowing, and these fascist acts are the dirty works of mining interests,” Egar added. 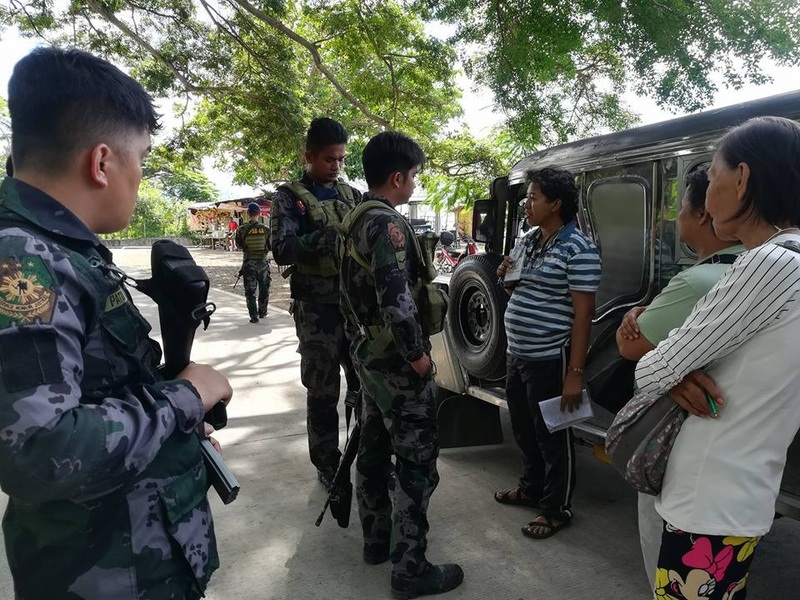 According to members of the humanitarian mission, they experienced blockades and harassments on the way by the Special Weapons and Tactics Team (SWAT) of the Philippine National Police (PNP) in Batangas. The humanitarian groups, which aimed to hold relief tasks, psychosocial activities and conduct of basic rights orientation to aid affected civilians, decried these attempts “to conceal the heightened military operations” by preventing human rights groups to reach the area. Citing at least two cases of blockade and harassment by the PNP Batangas, Egar sounded the alarm of a possible cover-up by military to give way to large-scale and foreign gold mining operations in the vicinity of Mt. Banoi. “By systematically preventing us from getting near the site only strengthened our belief that they are actually operating in aid of clearing operation to free the area from any possible resistance to mining concessions,” Egar added. “With the AFP’s use of excessive force, it seems that aerial bombings are becoming the ‘new normal’ for AFP troops whenever there are conflicts, regardless of their impacts on civilian communities,” Karapatan-ST said in a statement. “The way things are going in Batangas and previously in Mindanao, bombings and strafing have become the SOP (Standard Operating Procedure) of the AFP in their operations at the expense of civilians. This tactic is similar to that in Marawi, and we fear that this can be used as basis for declaring Martial Law outside of Mindanao,” the group added. On Thursday, Karapatan along with multisectoral groups trooped to the Department of National Defense to protest the bombings and strafing. Citing the intensified operations against civilian communities, as well as the desecration of an NPA fighter, whose body was left unclaimed for two days, the group reiterated that these acts constitute a clear violation of the Comprehensive Agreement on Respect on Human Rights and International Humanitarian Law (CARHIHL) that was agreed by both the National Democratic Front of the Philippines (NDFP) and the Philippine government. The group also pressed the Commission on Human Rights to stand behind the civilians and probe the military attacks.